This is a story about a group of Christians to whom God gave a vision in the early 2000s for participation in God's Mission in South America. This group became a team, picked a city, and devoted itself to preparing for the mission ahead. The story over the last ten years is a complicated one—ups and downs, periods of learning, lots of changes—but a constant has been the Team Arequipa Newsletter and those supporters who read every issue. The newsletter serves as our lens to relive the story. Hundreds of thousands of words have been written over the last decade, and you can find most of those here. In 2015, the two families who moved to Arequipa in September of 2008 move back to the United States. We who follow in their footsteps get to learn from their successes, failures, and—most of all—the legacy of Kingdom participation and proclamation that they leave behind in the Peruvian church. We are excited to be a part of this next chapter of Team Arequipa. It’s God’s Mission. Here’s our part of the story. This collection of articles reflect significant milestones for the team. It takes you back to the pilot issue of the newsletter in ‘05, to the team's arrival in ‘08 along with subsequent anniversaries, and relives a major visual redesign to the newsletter in 2010. Read about CUDA's birth and development and what it meant that four new families moved to the city in 2014. Team Arequipa is very proud to release its first newsletter. As we take this next small step in our journey toward the mission field our excitement grows, and we are hopeful that yours will as well. God has continued to bless us all along this path with support and encouragement. We hope to continue fostering support for the sake of our work and to give encouragement in return with the monthly testimony of what God is doing in us. Our team of wonderful people has been planning mission work in Arequipa for years now. Yet, the team has morphed through the years so that my beautiful bride and I were the only two (of six) who had been in the city. Our vision casting has been second hand in the main, based on my impressions and those of former team members. The team has nurtured love for people whose faces it has not seen. It has tried to image God’s faithfulness in the unknown. At last it was necessary to stand in the city. Team Arequipa finds itself now, at Shiloh Road church, in a place that is both natural and strange. So much has changed since the beginning, and although it has not been too awfully long in the grand scheme of things, that beginning seems quite distant now. Onlookers might imagine that the team has always been more or less like it is now, but hopefully a short journey into Team Arequipa’s history will reveal something of the refinement we have experienced. Texas and Tennessee to Atlanta to Lima to Arequipa, Peru. After five years of planning, our two families packed our bags, said our goodbyes, and headed to Peru. We are so thankful that we are here. God has blessed our journey and we are eager to see his kingdom spread in this part of the world. The Team Arequipa field workers have been here for a year! We have been blessed, and we have so many of you to thank for your prayers and support. We serve a faithful God. He has been good to us. For this publication we each decided to write a reflection on the last year. Enjoy the read. We look forward to many years to come! A word about the new look. First of all, we hope you, the reader, dig it. Our newsletters are for your benefit. The bit of extra work we put into this little publication is meant to make your reading experience more than just informational. And we figure, if we’re going to do something, we might as well kick it up a notch. Can you believe it? We have been here for two years! The Smiths will leave for their furlough next week, and we will leave on our furlough right before Thanksgiving. It is funny how anniversaries naturally cause a time of reflection. This month I have been able to reflect on many things, but what was really special was having the Henderson family come visit. Since the words ‘holistic ministry’ first left our mouths we’ve been explaining, and sometimes defending, our position on the work here in Arequipa. Taking our cues from Jesus’ own ministry we seek to reach those around us in a holistic way. We can no more just preach the news to people than only provide clean water to a new community. The four new families that are part of Team Arequipa are not our replacements. They are the next wave crashing toward the shore as our wave begins the slow fade back into the ocean. For a little while, you can’t tell that both are happening, but standing in that water reveals the push and pull occurring simultaneously. Their effect will be similar, but new. They are a blessing to our team, our church, and the city of Arequipa. Team Arequipa grew significantly from 2008 to 2014, both by adding family members, and by adding new families. While maintaining its general format—about four articles, once a month—the Team Arequipa Newsletter underwent some major redesigns over the years (not least their author avatars!). The team also chose various themes to guide the writing of their articles from year to year in order to provide as much value as possible to you, our supporters. You can explore all of the various series in the newsletter archive. Greg McKinzie: Church in Arequipa, A Word, Mark as Gospel. The New Testament employs a variety of metaphors to represent the church’s essence. One of the most significant is certainly family. Family is an expression of the real relational dynamic that exists among followers of Jesus. We articulated our vision over five years ago: God’s family celebrating and serving in Arequipa. When we talk about ecclesiology (our understanding of the church), there are two levels to consider. The first is the abstract, presumably universal level at which we think about what the church is. The second is the practical level at which which we think about how a local church must embody that essence. One problem that has affected many churches is the assumption that the second level, that of application, is just as universal as the first. This belief leads some to the conclusion that the forms, styles, practices, and traditions of the church universal should be pretty much uniform in the church local. The expectation that the New Testament will provide those forms bolsters the assumption. Kyle Smith: ICDU View, CUDA View, Microfinance. Last month I reported about the new trio of ICDU coordinators - Alfredo, Paty, and Abraham. Three weeks ago we began a weekly meeting between all of us so that they could start shaping/influencing ICDU’s ministry. It has been a really neat and humbling experience as each one of them brings a different viewpoint to the table. Our first order of business was bringing them up to date on current programs and sharing our plans for the future. In that first meeting I new God had brought together a good group of people because we talked for hours and didn’t get past our first three programs. Ideas and dreams flowed...it was awesome. From the beginning we had big plans for ICDU. These plans weren’t very clearly laid out in our minds but they were big. One thing we have always known is that while we might be able to get ICDU started, and we might be able to launch a project or two, and these few projects might be successful, ICDU would only be a lasting presence in Arequipa with the help of Peruvians committed to the work. For years we have been praying for contacts to be made and friendships to spring up between us and Peruvians with a heart for development work. Let me tell you how God has answered that prayer. Larissa Smith: Crossing Cultures, One Way to Look at It. For those of us from the USA, the word “culture” typically carries a different meaning than for other people groups. In the states, when we use the word culture, it usually implies some sort of status or exposure to fine living that includes the arts, theatre, literature, etc. We also might refer to cultures within the country so as to define a slice of the population and their sub-culture that differs from the general norm in some way. One of the most difficult things about being a missionary is a very basic fact. We are American. We were born there, grew up there, understand how to function there, and will always have significant connections there. We will never stop being American in some aspect, no matter how much time we spend elsewhere or how hard we try to open our minds to new perspectives. 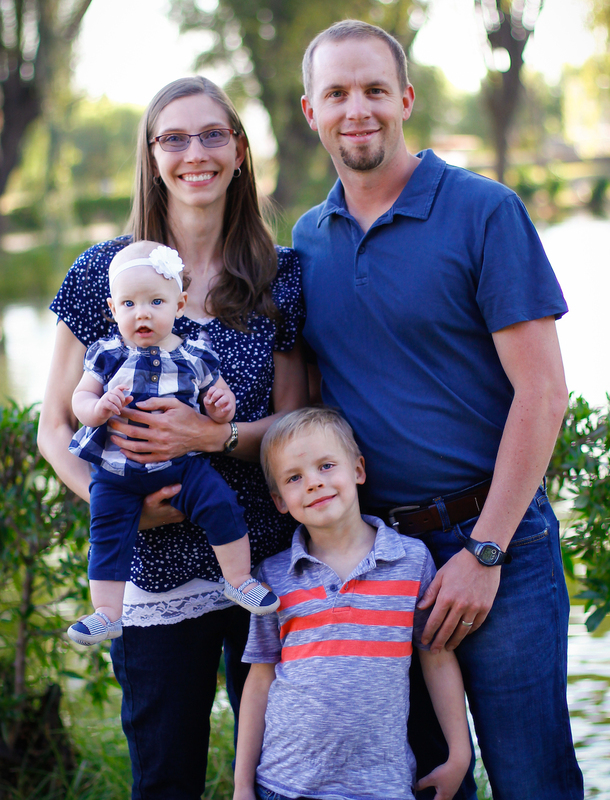 Megan McKinzie: Missionary Mom, Living Libraries. 2014 was a year of transition for Team Arequipa as four families—the Frouds, Morgans, Daggetts, and Blairs—moved to Peru to join the McKinzies, Smiths, and apprentices Andrew and Bethany Gray. We called this Team Arequipa 2.0. We started using this metaphor from the world of software updates back before the transition ever happened. The idea was that the new families would not be replacements but, rather, a new version of the team. This “2.0 release” meant an integration of the gifts and passions of four new families with what was already in place—including the McKinzies, Smiths, and Grays, the Peruvian church, and CUDA. Team Arequipa 2.0 lasted more than a year. 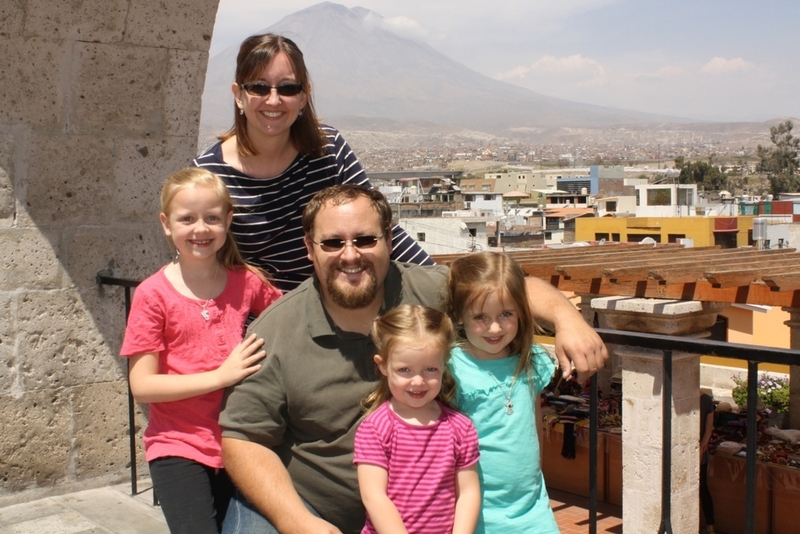 Now, in the first half of 2015, the McKinzies, Smiths, and Grays will be moving out of Arequipa and transitioning into participation in God’s Mission in the U.S. and Australia. Reflecting the founders’ departure, this next chapter of the story —Team Arequipa 3.0—will take on a different look. The four US-American families that moved to Arequipa in 2014 are committed to intense partnership with the Peruvian church. With them, we share a vision of what God is doing in our city. It’s the heart of who we are as a church. Please commit to praying this year that God would be honored in this joint venture in God's Mission, as we partner with God and Peruvian believers to be God's family, celebrating and serving in Arequipa. Featuring new voices from the 2014 arrivals. In 2014 you started hearing from a rotation of contributors to the newsletter. Each issue included an article each for CUDA, the church, our team transition, and a personal reflection. If you'd like, you can browse all of 2014. As I sat in our planning meeting the other day, it dawned on me that my new job as a volunteer with CUDA is to spend all of my time doing, in my opinion, the best part of these doctors’ jobs because they don’t have time. I couldn’t help but feel downright giddy about the prospect. What a gift from God! Traditions are a part of life. They are the ways in which we celebrate life and special events. Every country has their own traditions and Peru is no exception. They have lots of different traditions but the one I want to focus on is the first year celebration, that is, a baby’s first birthday. It is a strange and wonderful time to be a part of Team Arequipa. There is a culmination of great wisdom being shared from the wise veterans and enthusiasm beaming from the new recruits. On October 7th, we arrived in Arequipa. Over the last several months Jake and I have been asked if we’re ready numerous times. At times I’ve struggled to answer this. Though we have thoroughly prepared through prayer, reading, team meetings and missions conferences I struggled with doubts and feelings of inadequacy. If I read all of the theology, missions, and culture books that people have recommended I might be ready by the time I’m 83. Peruvians recognizing God’s presence among them, reclaiming it as families and communities, and reflecting it. That’s the vision that drives us. My prayer through the transitions and questions is that God brings us all in line with his will as we plant seeds of the gospel and share our community of faith with our Peruvian neighbors. God is at work! And now we are in Peru…serving, worshiping, and loving beside our Peruvian brothers and sisters. Because this is church. They are the church. WE are the church. Since our family’s arrival to Arequipa just over a month ago we have been overwhelmed by the ways in which the missionaries who have preceded us, as well as the Peruvians, have gone out of their way to serve us and make our transition here smooth. One of the ways the church here has served us is by aiding us in our involvement in God’s kingdom here in Arequipa. We serve a God who has created infinite diversity in people. We have different languages, skin color, facial features, customs, world views. Yet, as I listened to a Peruvian sister share her testimony this past Sunday, I realized how we all long and yearn for a God who gives us unconditional love and acceptance. In 2017, the Frouds (April) and Morgans (July) moved back to the United States. You can read about their time in Arequipa and the reasons for their moves here and here. In June of 2019, the Blairs plan to move back to the United States. You can read about their time in Arequipa and the reasons for their moves here.